BUKU 2014 was by far and away one of the best festivals we have ever been to. The music and venue were fantastic, yes, but it was the people, the food, and the overall atmosphere of the entire weekend that left us wishing we never had to leave. The festival as a whole perfectly captured the vibes of New Orleans: friendly, loving, and fun. With artists ranging from superstars like Ellie Goulding and Zedd, to incredible up-and-comers like DXXXY and Classixx, BUKU 2014 was an eclectic and progressive festival unmatched by any this year. Now, it’s time to experience the magic of BUKU all over again. For the fourth year in a row, the BUKU Music + Arts Project will blow fans away as it once again takes over Warehouse District in the heart of New Orleans, smack-dab on the ol’ Mississippi River. 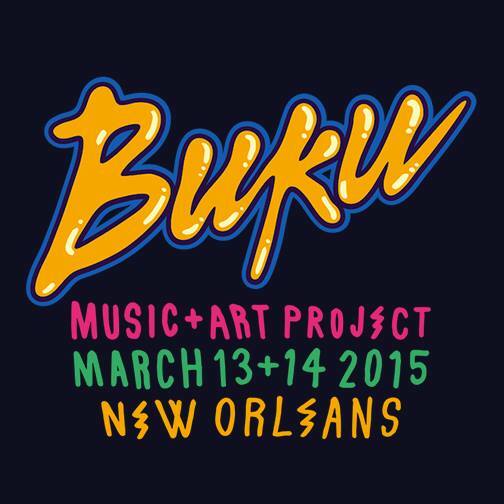 BUKU 2015 will be held on Friday, March 13th and Saturday, March 14th. Early Bird tickets will go on sale this Friday, September 5th at 11:00 AM CST. There will be GA tickets along with VIP and TOO BUKU tickets available on a first-come, first-serve basis. Stay tuned right here to find out more about next year’s BUKU Music + Arts Festival. While you’re here, see how much fun we had at last year’s event.